My Pick: Jared Leto. An incredible transformation, an emotionally compelling role, and a comeback—it’s a trifecta Leto’s fellow actors won’t be able to ignore. My Pick: Jennifer Lawrence. Lawrence’s manic, scene-stealing work in American Hustle is the spark that ignites the film, and it adds a new layer of versatility to the body of work that has already placed her in the inner circle of Hollywood’s most respected actors. 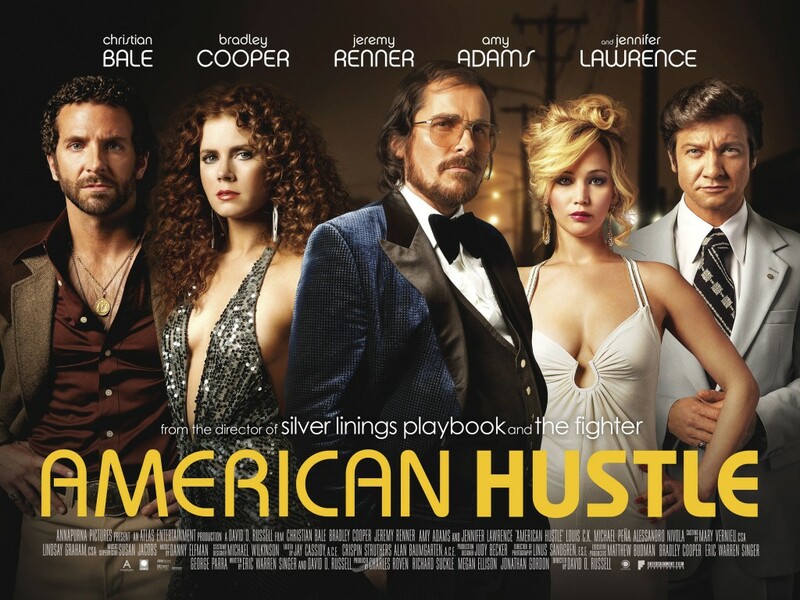 My Pick: American Hustle. Say what you will about the film as a whole, but there’s no denying that American Hustle’s cast was a true all-star team of actors at the tops of their respective games. Every member of the ensemble not only turned in impressive individual performances; they had excellent chemistry as a whole. They looked like they were having the times of their lives filming this movie, and that’s something that should be rewarded at a ceremony designed to honor actors. My Pick: Michael Douglas. A respected Hollywood veteran with a tour-de-force performance in a biopic—that’s a recipe for success at any award show and has been for Douglas for the last year. My Pick: Elisabeth Moss. Much beloved for her work on Mad Men and in Top of the Lake, Moss should take home this award as recognition for both of her strong performances. My Pick: Bryan Cranston. Everyone was talking about Cranston’s work in Breaking Bad’s home stretch of episodes. It was the kind of performance that other actors will want to honor for its ferocity. My Pick: Anna Gunn. Don’t count out Washington, but I think Gunn’s gut-wrenching work in the much-hyped “Ozymandias” (as well as her op-ed piece in the New York Times) has earned her the respect of not only audiences but her peers. My Pick: Alec Baldwin. One more win for old times’ sake. My Pick: Julia Louis-Dreyfus. Since Amy Poehler was so unjustly snubbed, Louis-Dreyfus is the only other person I can see (and want to see) winning this award—unless SAG voters really want to celebrate 30 Rock’s final season with a win for Fey, too. My Pick: Breaking Bad. This is the last chance SAG voters have to honor the cast of one of the most respected dramas in television history, and I don’t think they’re going to pass up the chance to honor a season that gave audiences episode after episode of brilliant acting. My Pick: Modern Family. This large cast is genuinely funny and perennial award-show darlings. I could see The Big Bang Theory playing spoiler, but I think this will be another win for everyone’s favorite funny TV family. This entry was posted in Awards Season, Film, Television and tagged awards season, film, prediction post, sag awards, television by Katie. Bookmark the permalink. NOT OK WITH THE LACK OF AMY POEHLER/ PARKS AND REC. NOT OK. THANKS FOR RAGING WITH ME. I was really disheartened by the SAG nominations this year. No Redford, No Leo, No Oscar Isaac = a very unhappy me. But I suspect your acting picks in the movies are all spot on. Although I do think the ensemble of 12 Years a Slave and Dallas Buyers Club could upset. On the TV side I would swap Anna Gunn for Claire Danes (which would be lazy, but I wouldn’t be surprised). I also think it will be Jim Parsons over your pick of Alec Baldwin. I hope the Game of Thrones ensemble does beat out Breaking Bad, but I don’t this it is likely. After some of the Oscar nods earlier this week, I am just less than enthused about the awards season. As someone who didn’t love or see any greatness in American Hustle it’s a year of my favorite performances being left in the dust.